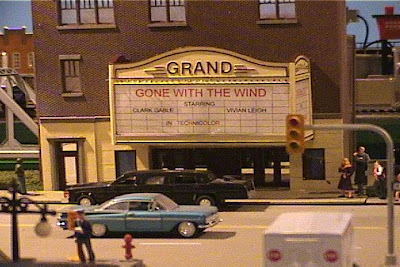 This is a wonderful article from the New York Times about the music of Alfred Hitchcock and how it influenced his film making. Definitely worth reading. Is this a Labour MP's description of the present Cabinet? Its tough at the top. Labour`s sadness is to have no-one there who`s lovable, endearing, human. Clare Short, Mo Mowlem killed off. Ever awkward Robin Cook and honest Estelle, all gone. Along with the only total *****, Mandy. For some things there is a price- for others there is Austin Mitchell talking to his constituency association! This is a fascinating article from the New Yorker about the way that the economics of film making is effecting the artistic form of the film- the way that say the evolution from photography to digital photography changes the way that we see contrast and see the images on a screen, the way that viewing a film upon a DVD-player changes the relationship between the viewer and the film, the way that the intensity of the experience of a masterpiece like Taxi Driver is perhaps diminished by a less intimate experience of it. Lots of what David Denby writes in the article is I think very true- Hollywood's obsession with the blockbuster aimed at the opening week market doesn't neccessarily make sense, the theory of the long tail for example has barely been exploited by film distributers who could get regular small audiences for Casablanca instead of screening the latest studio flop. He also writes well about Fox Searchlight and other speciality divisions of the film companies which today produce some of the most intelligent and adult films- and some of the most profitable films. There is one point on which I wish to push his analysis further and that is something that may be very singular to me. To be an interesting film, a film must capture you, must take you into its coils and have you live vicariously through its characters- have your mind work upon it alone and focus upon every nuance of lighting, acting or script. Great films like the Seventh Seal or Casablanca or Citizen Kane wrap you in their arms and envelop your tastes so as to make you concentrate fully on them and derive an incredibly concentrated experience from them. There is a heady emotionalism to the way that Denby writes about films and he is right and he derives that from the physical form by which the film is delivered. Perhaps this is generational- but for me most of the most profound films I have seen I have never seen on a cinema screen. The last film at the cinema I saw to really give me that concentrated experience was Capote, the execution scene in particular of which gave me a truly cinematic experience. But I think that it is possible to concentrate so as to get that flavour from a smaller televisual or even computer screen (I'm not so sure about the Ipod). Personally the most important thing that changes though about a television or a computer screen from a cinema is not the thing that goes on in my mind, but the degree of concentration I require to get to a cinematic experience- the television film needs to be better than a cinematic film to get me within its coils. There is though a further point. We don't treat watching a film on television or on Computer screen in the same way as we regard watching a film at the cinema. A great film needs to be appreciated not in gobbets of concentration but in one whole swallow. You can't consume it otherwise, the moment is easily lost and easily broken. The amazing thing about watching films in a cinema is that the lights are dimmed, the phones are off, the people don't usually talk (Streatham Odeon on a bad Saturday is an exception) and you can focus upon what is happening on the screen. Television with its advert breaks, with its interruptability presents you with a different mode of experience- it breaks down the director's vision into little gobbets- somebody coughs in the Marseillaise, somebody interrupts Lauren Bacall asking Humphrey Bogart how to whistle, a phone rings and nobody can find their mobile, the clutter of every day life invades the experience and destroys it. Watching a film on television can ruin a film because a film is a vision of reality- it can't be just taken bitesize. This is I realise an incredibly pretentious and incredibly personal essay- there are afterall many ways of enjoying cinema and sometimes you watch a film to laugh at its jokes and not to appreciate its intensity- but the great films do convey that kind of intensity. The canon if there is such a thing are films which really invade the mind- disturb like Goodfellas or delight like Philadelphia Story, they require time to be set aside. In many ways therefore if you are watching a film to understand it and absorb it, that is as far away from the televisual medium as you are going to get. Television is a medium of instant gratification, wonder- save for some infrequent programs like Planet Earth- is not something it supplies. More often its gossipy, newsy, bite size and disectable- precisely the kind of things a great film is not. I wonder therefore whether when Denby delivers an ode to the Movie Theatre he is really speculating about sizes of screen or about the mental habits of watching. I can't remember where but someone once argued that movie theatres were the cathedrals of modern existance- where in storyline labelled sermons, the priests of our time delivered their message (an image which say when one considers Bergman is not exactly inapposite) to the populace. There is a distinct difference between the cathedral and the casually treated household deities, between the Trinity and the hobgoblin, between cinema and television. I wonder whether what he is doing is marking out the world of artistically conceived film as something different from the world of television and of ephemera- whether he is asking us for the concentration and for the appreciation that this form of art requires- the kind of liberty to let our senses go and forget the discussions, the tones of phones, the small phrases of tidiness and discretion that constitute lives chattering over symphonies. The Movie Theatre represents in this case, not merely a size of a screen, but an opportunity to sit still and listen and watch as darkness envelops the eye and focuses it upon the screen, as silence envelops the ear and focuses it on a discordent tune of script and music and therefore let the senses serve the mind in teasing out the implication, the thread that the director left to understand his art. Incidentally for some more coherent cinematic goodness- the latest carnival has just been put up and is really good. Well it seems that actions has followed fairly quickly after Mr Bush's speech- US troops have raided the Iranian consulate in Irbil- this violation of diplomatic territory and consequently international law might be what Bush was referring to in part when he talked about political reasons for hanging back. Raiding consulates and embassies would definitely constitute such a move though he did suggest it was areas not particular buildings that would be subject to such politically dangerous raids, again the form of words could have been to throw enemies off the scent. The raids are very interesting- it strikes me that they demonstrate the confidence that the US has in Iranian involvement- they are a calculated risk as if embassy or consular staff were killed and later found to be unconnected to any illegal activity, the United States would be putting its own embassy and consular staff at risk in other countries. Some conservative voices in the US are arguing that this doesn't go far enough and they'd like to see Iranian agents pursued across the Iranian border by US soldiers. Its interesting as well that this happened in Irbil which is in the Kurdish region of Iraq- interesting for two reasons and I don't know which is right: either Kurdistan isn't as secure as we tend to think it is and the Iranians are destabilising it or Kurdistan is becoming a secure route into Iraq for Iranian smugglers. There is a third rationale of course which is that the Americans have just got it wrong- somethign that the Iranians no doubt would argue. We shall have to see. sources at the US Pentagon said the building which was raided did not have any diplomatic status. What this might lead one to beleive is that it was an informal Iranian diplomatic mission- maybe even a house associated with the Iranian mission- the Iranian and American language need not be in conflict. If it is and the building is unrelated to the Iranians then it obviously changes the nature of the comments that I made above. Its undeniable that the greatest consequences from the Bush speech are for Iraq and the Iraqi people- but the other great democracy for whom the Bush plan has massive consequences is the UK. The UK already has thousands of troops on the ground in Iraq. 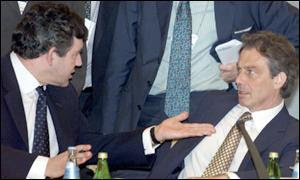 Since 2005 when the then British Defence Secretary, John Reid, announced British withdrawel over the next 12 months, to more recent suggestions from people like Anatole Kaletsky that Gordon Brown would like to withdraw as the first dramatic act of a Brown Premiership, withdrawing from Iraq has been on the cards in the UK. The problem is that the UK can't withdraw from Iraq now without upsetting its major international partner. The UK's armed forces are overstretched and its government is haemoraging popularity, largely consequent upon the Iraq war. (Iain Dale has even raised the question of whether the Uk was asked to participate, having a mini-surge.) Brown's hope of taking the Premiership is to staunch the wound, to stop Labour leaking votes over the Iraq war. But now Brown cannot without risking a diplomatic confrontation with the United States take up a policy that most people in the UK are devoutly desiring for a variety of reasons. The problem electorally for Labour is that Iraq could be a factor right up until 2008, with corpses returning home drip by drip, right up until Bush leaves office, which means that the weight of that decision over Iraq may be pressing down not only on Blair but also upon Brown and also right up until Bush leaves office, and if McCain is his successor then even beyond that. Brown despite the fact that he would never have wished to be, may end up being a war Prime Minister, stuck in a Middle Eastern Vietnam and may be unable to avoid that particular part of the New Labour legacy. Or perhaps the genius of the Treasury has a plan to square the circle. Some of the highlights are here- The full text is here. 1. 20,000 US Troops to be dispatched to Iraq- the majority to Baghdad to supplement 18 brigades of the Iraqi army to seek out terrorists with a more aggressive attitude than before. 2. 4,000 American troops dispatched to Anbar province which the President feels is the heart of Al-Quaeda operations in Iraq. 5. The Iraqi government is put on warning that American commitment is not openended and may be withdrawn at some point in the future. Iran is providing material support for attacks on American troops. We will disrupt the attacks on our forces. We will interrupt the flow of support from Iran and Syria. And we will seek out and destroy the networks providing advanced weaponry and training to our enemies in Iraq. opening up a Cambodia option. That's definitely the belief of prominent neo-conservative thinker, Michael Ledeen and of the Democrat blogger Markos Moulitsas. Secondly Bush talks about limits upon US troops in seeking out and killing insurgents in various sectors of Baghdad- these limits he says were 'political'- the President does need to answer what those political imperatives were and why they were convincing months or years ago and why they aren't so convincing now. Some conservatives are already developing that critique In addition thirdly why was there nobody in charge of reconstruction before now- why is it only now that Condi Rice is sending someone out to do that job, should that have happened earlier. Fourthly if the President accepts that the Iraqi and American troops have not been integrated well enough and training has not proceeded well enough, why did it take him this long to notice, why did it take the Pentagon this long to notice. Some of these points may be answered within this document released by the National Security Council titled, Highlights of the Iraq Strategy Review which argues that the challenge in Iraq has changed- from a Sunni insurgency to a near civil war though even within that document there are notable contradictions- on page 7 we are told that dialogue with insurgent groups has not stopped violence and yet on page 10, outreach to insurgent groups is made one of the main methods of pacifying the country. Oh and by the way, one last point as testament to the outstanding British influence in Washington- is anyone suggesting that there is any aspect of Bush's speech that was influenced by Tony Blair- thought not. In our discussions, we all agreed that there is no magic formula for success in Iraq. I suspect the President is right- there seem to be no good options here- I only hope the President has chosen the least bad one. Whether he has or not many people more qualified than me will no doubt discuss and events will no doubt demonstrate. The American Enterprise Institute talk by Frederick Kagan and General Jack Keane, the main ideological instigators of the plan is worth looking at but they envisaged not roughly 20,000 extra troops but more than double that, 50,000 extra troops. So just a last question- why does Bush think that a surge will work without the troops that its advocates wanted? Cheers to the Guardian who a couple of days ago made this a best of the web article. 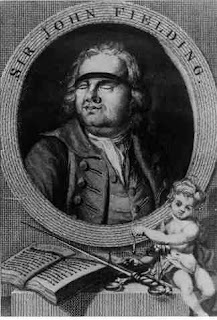 Sir John Fielding is an unjustly neglected figure within British history. Professor John Beattie in the latest Law and History Review offers us many reasons to reconsider that verdict and look into Fielding's impact upon the system of justice that we live with to this day. Looking at his reforms and our system through this historical perspective, we are able to see how much of our modern criminal procedure is actually contingent upon the kind of society we live in. Fielding succeeded his brother Henry Fielding as a magistrate at the Bow Street Court in 1754 and remained there until 1780. The Government, increasingly worried by the scale of the problem of combatting rebellion and crime in London, had begun to take the Bow Street Magistrates under its wing. It had attempted to build up the power and prestige of various magistrates at Bow Street, starting with Thomas de Veill in the 1720s, continuing its support to Henry Fielding in the 1740s and then extending that support to Sir John. Over the years the nature of the support had changed, whereas de Veill received money to employ a clerk and had eventually obtained a knighthood, Henry Fielding instigated and Sir John Fielding carried out much more radical work. In 1751 Henry Fielding proposed a model whereby the magistrate would employ proffessional runners to find criminals, to interview victims and to help a magistrate bring a prosecution to the Old Bailey. 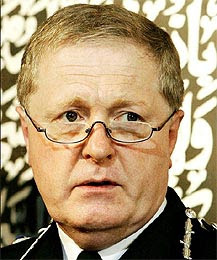 At this point in British history, the magistrate's role was confined to taking statements from the victim and the accused and then submitting those statements to a formal trial- as Professor Beattie shows the role of the magistrate changed through the implementation of these proposals. Henry Fielding was unable to carry out this program. But his brother John succeeded him as the magistrate at the Bow Street Court in 1754, and set up a group of men, called the Bow Street Runners who met informally in a tavern down the street from the court and who became full time investigators of crime in London. Many of them acquired great experience- John Townsend pictured here was one who John Townsend worked for years bringing cases to the Bow Street Court (he is pictured on the right) and acquired a proffessional ability unknown until that point in English history. But Fielding did much more than that as a magistrate- better investigation was but one half of a process. The other half was that he began to hold public hearings in the capitol. These public hearings were advertised in the press which released details of cases that Fielding heard in his magisterial court at Bow Street. He rebuilt the premises to encourage large crowds to attend and was amongst the first magistrates to dismiss charges as well as commit them. Fielding held identification parades in his court house. He held repeat hearings, hoping that the advertisement in the press would encourage people to attend and identify the accused as being the perpetrator of a different crime. These new methods led to half of all the cases at the Old Bailey having proceeded from his court and by his death other magistrates were copying his procedures. that the PUBLIC examination[s] at Bow-street were productive of the most mischievous consequences to society. The injury done to individuals, who might be innocent, was such for which no possible compensation would be made; the evidence for the Crown was given up; the prisoner came to his trial without the possibility of a fair enquiry; the minds of the people were influenced; the jury prejudiced; and, where any possible guilt lodged, the prisoner hardly stood the chance of a fair acquittal. Wallace was no fan of the new techniques but it should be noted that Fielding's work proceeded initially from a ministerial concern with the way that London functioned. Wallace's worry about the consequences of the changes he had introduced- usher us into a new topic. As the powers of the prosecuting authorities expanded, their use of the press and policing became more sophisticated, so were rights for the defendent created. Where previously a defendent facing an accusation from an amateur victim was thought to need no counsel to aid him, now facing an accusation from a magistrate backed by a set of Bow Street Runners, we see defence counsel. From the 1730s as the central funding of the Bow Street Magistrates started, we see cross examinations from the defence in trials at the Old Bailey. From the 1780s after Fielding we see defence lawyers emerging in the magistrates' courts in London, starting with Bow. And as the system of policing was expanded and professionalised by 19th Century reformers including Peel, we see the creation of formal legal rights. In many ways therefore just as Sir John Fielding's new ideas for ways to prosecute criminals were implemented, reformed, reanalysed and eventually expanded to the whole country, so as a counter movement the rights of the defendent became entrenched in law. Moving away from a local and amateur system of justice, resting upon deep local knowledge, to a system of justice suitable for large urban communities meant that prosecution was turned over to the state and defendents acquired both legal rights and legal representation. Its interesting as a last thought to reflect upon what this says about our current system- the Prime Minister and Head of the Metropolitan Police (chief police officer in the UK) continually tell us that we see new threats and need new ways to prosecute and police those threats. It may be that at the same time, just as in the eighteenth century, we as private citizens and therefore potential defendents need new rights to counter new prosecutions- perhaps in matters like data protection you can already see both trends taking place, government now holds a great deal more information about us and we now have rights to see that information. Whatever we say about that- the consequences of Sir John Fielding's reforms and institutional changes have been dramatic within society and the ideological commitment both to order and the rights of the defendant which date from the eighteenth century are profound parts of our political way of life. Their largely unheralded evolution needs better charting and Professor Beattie has done us all a great favour in charting the way Fielding changed the British criminal system. I am beggining more and more to link to things across the internet- this is one that really should entertain- its a program on 18 Doughty Street concerning Counter Factual History, the first part isn't as good when it focuses on the philosophy of counter factual history, the second though on the specific counterfactuals that each of the guests were involved in writing, Edward Heath's fall, the Great Reform Act, the strange death of Liberal England, the Czechs at Munich, the Alliance split in 1986 and Iain Dale on Portillo winning the election as a Tory leader in 1997. All of the contributors are fascinating- the earlier ones for their historical expertise and the later like Dale are wonderfully interesting for their insight into political gossip. It's a very interesting program. Incidentally for the geeks out there like myself the interview with Chris Mullin, MP and author of a A Very British Coup (the fantastic exploration of what would have happened had a leftwing, unilateralist government been elected in the UK- its a fantastic drama but I digress. Mullin is also the MP for Sunderland South at present. As students of my blogroll (probably that's only me then) will notice I recently added a new blog to it- the football blog More than Mind Games to my blogroll. There is some fascinating stuff on it- but no more fascinating than the attempts of the author to get at what football was like in the Edwardian era, two particular posts here and here demonstrate some important truths about the history of football, rugby and cricket at the turn of the century. The ways that technique has developed, the ways that the games' administrations have changed and the difficulty of finding out how the game was played because of limited footage demonstrate some really interesting historical points which should always be kept in mind when looking at the past. The first point is that things evolve. Football today is not the same game as was played at the beggining of the Twentieth Century. 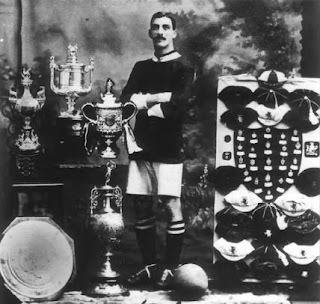 Just because the same word is used and the same organisations led football in that period- though clubs like Corinthians have since vanished and clubs like Leeds United did not exist, clubs like Manchester United (for whom Billy Meredith pictured above played) and Manchester City existed- doesn't mean that the game was the same. To be onside required you to have not one but three opposition players between you and the goal when the ball was played. The second point is that the evidence for most things in the past is very difficult to come by. Edwardian football existed after the first cinematic cameras were being used, after sports journalism had started and yet its very difficult to tell how it was played. Most of the camera's attention was focused upon the supporters not the game for example which makes it difficult to see what was going on, the footage can be obscure as well and grainy. We have very few observer reports on the difference- Herbert Chapman recalled it as a golden age from his vantage point of being the first modern manager but there isn't much more than that. Consider now what you would say about football prior to that era when all we have is drawings- the great Wanderers sides or Royal Engineers sides of the 1870s are almost inaccessible now. We have little idea about how they played. And as for football before the 1870s its almost impossible to know what was going on- we have a few accounts of observers but not much to go upon. The third significant point is that what we do have is often changed by the fact that it was filmed. One of more than Mind Games's videos he invites you to watch is that of the great cricketer, Arthur Mold, accused of throwing not bowling, who tried to prove he didn't throw by videoing a ball that he bowled. Mold was obviously concentrating so hard on his action that he ended up bowling a ball which went incredibly far wide. Mold's bowling action tells us a lot about the style of bowling at that point, but again it may be influenced by the fact that this was done as an exhibition, an attempt to clear his name- was this the way that he bowled in a normal county game? We have no way of knowing. The study of sporting history throws up therefore all the kinds of doubts that historians normally face- that things with the same name, aren't neccessarily the same, that evidence is often fragmentary and difficult to get at, that the fact someone has taken down the evidence means that the incident of which we have evidence is far from typical- its been recorded in some way. More than Mind games's posts are fascinating for the person interested in the history of sport- particularly football in the early 20th Century- but they are also fascinating for illuminating the central problems of doing history. He's done a very good job, but when you read anyone make historical claims- bear in mind the three lessons, lessons in doubt, that you can get out of his work. They are worth remembering. For anyone who has never read Al Quaeda taken down from a Muslim perspective- and there are many in the West who say they haven't and argue that Muslims never criticise terrorists- then let me reccomend this brilliant fisking of Al Zawahiri's Eid address by Ali Eteraz. He destroys it and tears Zawahiri intellectually limb from limb- its a really great piece of destructive criticism. It exposes Al Zawahiri not merely for the violent extremist he is but also as a defiler of Muslim texts, someone who is propagandistically unconcerned with truth and someone who can convert even a Eid blessing into a call for destruction of all Muslims and non-Muslims who don't share his doctrine. Aye a bit late with this I'm afraid but James has put his latest collection of posts up here he has scanned the internet for us all and wondered back like some pedlar from antiquity with a wonderful collection of colourful rants. Its definitely worth a look- go over and see what he's found. Interesting discussion here between Jeffrey Lewis from Harvard and Jacqueline Shire from the Institute for Science and International Security about arms control on Blogging Heads TV. Its just a dialogue but its definitely got some interesting features. Watch this clip at least the first half and realise as you do that this is possibly the only memory that we have of these people at all- this is probably the one way many of them are now remembered at all. They are going to for a second walk anonymously into your life and then vanish into a past that noone remembers. Every historian faces this point in what they do, they glimpse another life for a second and realise how much of the essense of that person who was as alive as they are now is lost and gone forever. That loss is one of the major emotional reasons for studying the past and is one of the reasons that the Mitchell and Kenyon archive is so valuable. Reflections on a theme of Slavoj Zizek: Does a War of Aggression matter as much as a War against one's own people? 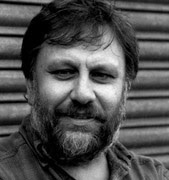 Slavoj Zizek is an interesting and sometimes baffling intellectual figure- I don't claim to understand much of what he writes so won't comment on most of it- however he has written a recent and relatively clear article for the New York Times which attempts to discuss the application of the international court to the case of Saddam Hussein. Let me begin this discussion by saying that I don't want to deal with questions of jurisdiction- probably I would have preferred that Saddam be tried in the Hague however I acknowledge that there were reasons for letting the Iraqis try him themselves. But Professor Zizek does not deal exclusively with that issue. He makes an interesting point- well worth making- that the West has a tendency to try and cover its tracks. Unfortunately he uses the example of Timothy Garton Ash- he accuses Garton Ash of listing dictators to be sent to the Hague and only including those that would not embarrass the West, forgetting that Garton Ash himself listed Pinochet. But there is a point there and its useful to remember in the context of Iraq that Saddam was not allowed at his trial to open up the question of Western aid to himself. they systematically omitted what was undoubtedly his greatest crime in terms of human suffering and of violating international justice: his invasion of Iran. It is probably true that the greatest numbers of deaths resulting from a single act of Saddam's were the deaths that resulted from his declaration of war upon Iran. That is something I am perfectly willing to accept- but was it a crime comparable to the crime of gassing his own people at Halabja. Professor Zizek is wrong I think to conclude it is. Since the 17th Century and the publication of the Prince de Rohan's treatise on international relations and the ways that states have interests which direct them to do various things, we all have accepted that countries have interests. We all accept that occasionally those interests require wars to defend them, sometimes we perceive states go to war to protect those interests. In some sense we all accept that war is a neccessary part of having a nation state- it isn't a part of a nation state's activity that we like- but it is a part of a nation state's activity that proceeds directly from its definition as a nation. We may disagree with a war, but few of us disagree with the concept of wars. Proffessor Zizek's equation is interesting because it throws light on something we all tend to do. Ennumerate Hitler's crimes and the Holocaust comes up much higher than the crime of starting the second world war though the latter killed more people than the former. Similarly with Saddam we turn to his atrocities against his own people before numbering the deaths in the Iran Iraq war. Slavoj Zizek is often provocative and often wrong- I tend to think here that he is wrong- I have a post to write at some point about the false comparison of deaths in war to deaths in peace (look at Henry V for an example of a discourse on the responsibility of a ruler for the deaths of the men in his army- Henry argues that that responsibility is based on whether a ruler purposed their deaths or not when he purposed the war). The provocation is interesting though- perhaps we should think more about crimes of aggression as well as crimes against a ruler's own people. Professor Zizek gives this a sinister construction- I disagree with him there- as I hope I've made clear its a fairly universal supposition- but it is an interesting one and needs evaluating even though personally (and this is not a worked out position) I come down on the conventional side. This Blog spends a lot of its time analysing the way that governments should think about governing the country. Its preoccupation derives mainly from the fact that the government of the UK is about to change, and its at times like these especially as ideological divisions narrow, that the technique of government becomes both more visible and more interesting to the observer. Gordon Brown and Tony Blair have been two of the most successful politicians of the last twenty years- their presence in the cabinet together was Peter Hennessy quiped like having Gladstone and Disreali serving in the same government- there are obvious tensions between them as well, tensions over substance. 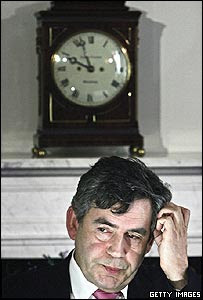 Gordon Brown is giving out strong hints at the moment that he is in favour of a more economic look at the problems of the Middle East than Tony Blair- Blair has always doubted his Chancellor's ability to see beyond the strategic to the detail, to the day to day activity of politics. Issues do divide them and a bitter personal war over Blair's departure from Number 10 has not helped but a more basic frame of mind unites them- and I am not sure that it is neccessarily a good frame of mind. Take two articles from today's Observer. The first by Martin Bright explores the way that Gordon Brown wishes to conduct his foreign policy, it lays out the rumours that I mentioned above about an economic approach to the Israel-Palestine problem. The second is by Matthew Taylor and attempts to suggest that long term strategic thinking is being done in government designed to cement together the Blair premiership that has been and the Brown premiership to come. Both approaches sound reasonable: solving economic problems in the Palestinian territories would help with the political problems- as the Bible suggests messes of potage do help people in being moderate about their birthrights. Longterm thinking by ministers too often caught up in the headlines of the Daily Mail is also a good idea- just going away and sitting down with some numbers and thinking about anything from the environment to health policy is useful. Both articles portray an intellectual approach to policy that suffers from vast flaws though. Mr Kettle shows us a Chancellor who is about to transplant his entire Treasury staff to Number 10, to the extent that he wishes to appoint a Treasury man to be his diplomatic advisor. Mr Kettle's article portrays a Chancellor who beleives that the solutions suitable to his previous department will be the same as the solutions suitable to every department- one can imagine Brown arriving into a meeting and faced with a Palestinian envoy talking about Hamas, answering balance the Books (that's slightly unfair to the Chancellor). It might be worthwhile though if the Chancellor were to consider the moment that he becomes Prime Minister an opportunity to open himself up to receiving information from new people, from experts in the new fields he will have to master, instead of surrounding himself with growling Treasury gatekeepers. envisaging a radically reformed central state - smaller, more strategic, less controlling, focused more on the causes of poverty, ignorance and sickness than the Sisyphean struggle to ameliorate their consequences. Its all very sensible to look at causes and try and deal with them- Mr Blair justifiably made his career out of the tough on crime, tough on the causes of crime slogan- but is Mr Taylor really arguing that government will give up on the consequences of poverty, ignorance and sickness. Is he really arguing that the government should abandon feeding the hungry, educating and founding hospitals- if he is he is moving far beyond what even the most rightwing Tory would endorse. I don't think Mr Taylor does beleive that for a minute. But I do think that its interesting that he said it becuase it shows how conservative he actually is- he could not entertain the thought that his words could be interpreted in that way because, swallowed in the consensus, he doesn't really entertain the thought that the state might not do those things. Mr Taylor's state is the state of the last fifty years and is the state that exists within the West. He hasn't looked beyond or into history or philosophy, because if he had he would have realised there are people who take the line he has just written. A statement full of civil service waffle and incoherent statements shows that its drafter isn't going back to first principles and reassessing what he does from them, but rather in an adhoc spirit is adding on new laws and new works which might work and which are ameliorations of what he had done before. The proposals aren't radical- but are a kind of lazily conservative effort which relies on unspoken intellectual assumptions assumed and granted immunity from argument- Mr Taylor ought to at least look at his own ideas a bit more and see if government is consistant with them, instead of telling us that he is radical because he proposes a couple of new laws. Both Mr Taylor and Mr Brown therefore lack something and that something is introspection. The business of politics, of appearing to have quick and simple answers, has taken over from the substance of politics. Neither of them are willing to expand their horizons, to admit to doubt. There is an intellectual timidity in both reviews of policy- one won't allow his ideas to contact people outside a small circle- the other waffles incoherently without testing his principles or even trying out his policies against his principles- but both you sense need time to rest, time outside politics to rethink and reposition. Both men are intelligent but they need wider reading and wider contexts to understand fully what they are about- being in government is not a substitute for being good at government, having ideas doesn't mean that they are coherent. Mr Taylor and Mr Brown shouldn't be judged on two pieces of journalism- but it does bring out some of the weaknesses of our political class. Going back to the First World War, all sorts of intellectuals have moaned that we lack a political class truly open to new ideas and to long term perspectives, too unphilosophical and too adhoc in their approach- too focused on the short term- neither Mr Taylor nor Mr Brown on this evidence seem to be changing the mould of British government.